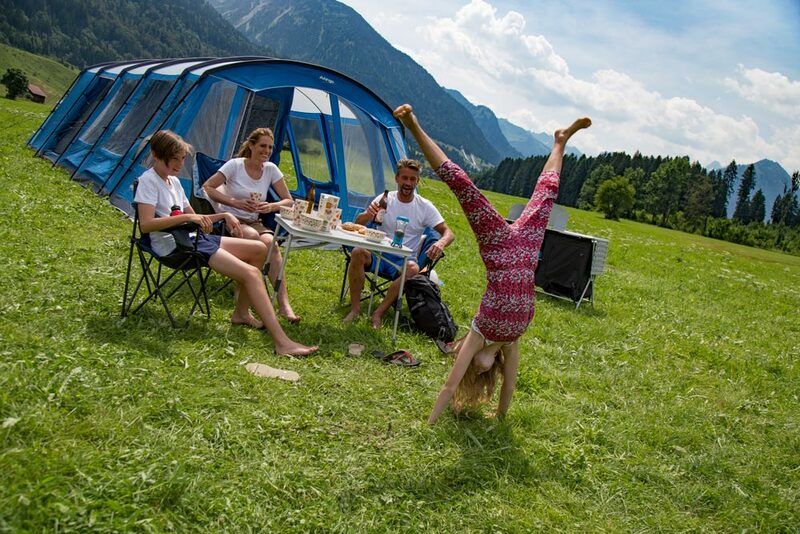 The pitching and packing stages of a camping trip are certainly known as the most stressful parts of a camping holiday (unless you have a Vango AirBeam® of course! ), so we have picked our favourite activities to ensure this process isn’t a chore, making sure you can start the fun off straight away and get on with your holiday. You’re probably wondering why you would want to use compass for pitching up your tent or awning? Well, if you want to wake up with the sun shining into your tent, a compass will help you pitch up in the right direction. Before you pitch your tent or awning, get the kids to stand facing east by using the compass to navigate, this will make sure the front door of your tent always faces the sunrise in the morning! We think this a great tip to get the most out of the sunshine on your family camping trips and give the kids a chance to learn along the way. As you know, going on camping and caravanning trips with the kids requires organising a huge amount of kit to accommodate for the whole family. The ‘Camping with Kids’ book has turned this into a positive aspect and come up with the idea of assigning certain pitching and packing responsibilities to all members of the family! Let the kids be responsible for looking after their own kit, assembling and decorating their bedrooms whilst making sure their areas are kept clean and tidy for the duration of the holiday. Not only does this idea teach kids to take responsibility and keep their tent tidy for camping holidays, it also enhances quality family time by being part of a team and working together to make the trip even more enjoyable! Of course, our first recommendation when pitching a tent with kids would be to get the kids involved in pumping up a Vango AirBeam® tent or awning. 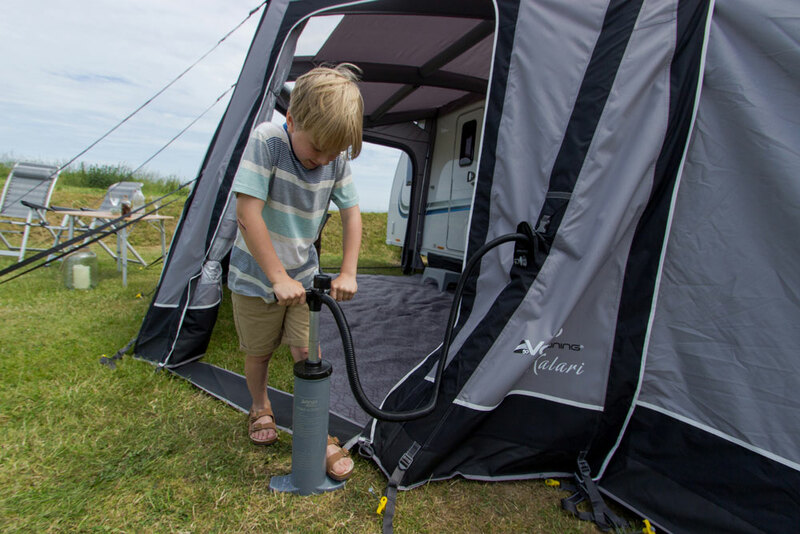 Help the kids to peg out the tent or awning in the correct place, and time them pumping up each AirBeam® to see who can pump up a beam the fastest! There could even be prizes involved to make it that bit more competitive. Get a copy and find out even more exciting activities HERE!